We’ve celebrated beating last year’s total at our annual charity golf day! 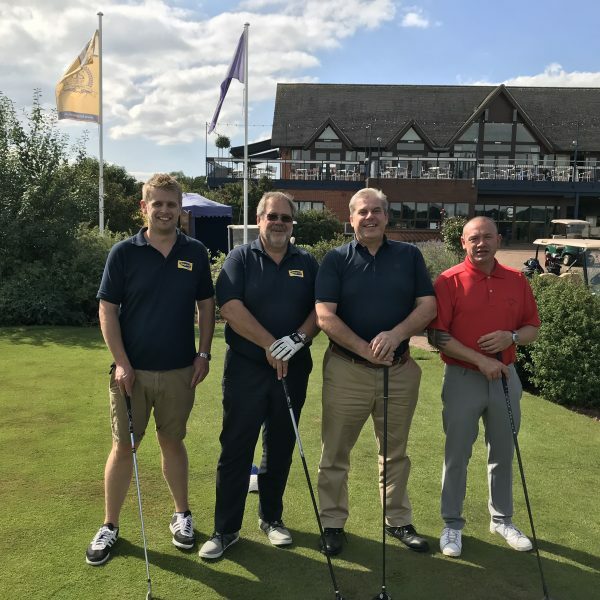 We hosted our annual charity golf day at Morley Hayes Hotel on Wednesday 5th September in support of our three nominated charities. The event was put in place over 30 years ago and raises money for Treetops Hospice, The Ben Parker Trust Fund and Padley Group. This year’s event raised over £3,000 – which will be split equally between the three nominated charities. Over recent years, we have been supporting Derbyshire-based Treetops Hospice – which provides nursing care and emotional support for adults and their families across Derbyshire and Nottinghamshire. This includes day care services, therapeutic services and home visits, ensuring continued access to care for those with a range of conditions as well as people in need of end-of-life support. 2018 marked the start of our work with two additional charities – The Ben Parker Trust Fund (Ben’s Den) and The Padley Group. Ben’s Den is an Ilkeston-based charity set up in 2004 in honour of Ben Parker – who lost his brave battle with leukaemia in November 2003 at the age of 13. Ben’s Den aims to support families with children diagnosed with cancer and leukaemia by gifting them a holiday – allowing them to spend much needed, quality family time, away together. Padley Group, is a Derby-based charity offering support to the most vulnerable people within the local community. This is achieved through its homeless centre, The Homeless Hub, as well as The Development Centre – a training unit operating courses for those with learning and physical disabilities, as well as those with autism and/or mental health issues. The Fairgrove golf day was made up of Fairgrove employees as well as friends and colleagues, totalling 58 players. Our Managing Director, Steve Midgley, was impressed with the turnout and the total amount raised on what turned out to be another hugely successful fundraising event. “It is a pleasure to continually be involved in hosting such a fantastic annual event which raises vital funds for 3 fantastic charities.” said Steve.